I would like to thank Eric from Effect Audio for providing me with Horus in return for my honest opinion. The cable segment is still relatively fresh in terms of market and development, in part due to a persistent resistance in especially the Western nations. By contrast, cables have long been accepted as part of audiophile culture in the East. While individual differences in hearing sensitivity might play a role, I can’t help but think a more acute reason is the readily available possibilities to audition them first hand in audiophile hot spots as Singapore, Japan, and China. But times are changing, and tides are shifting. The resistance weakens, and the market increases. In a relatively short time span of a couple of years, Effect Audio has slowly but steadily begun their ascension, claiming a top position in the global market. The key formula for their success seems to reside in a combination of sonic improvement, with aesthetically pleasing designs. 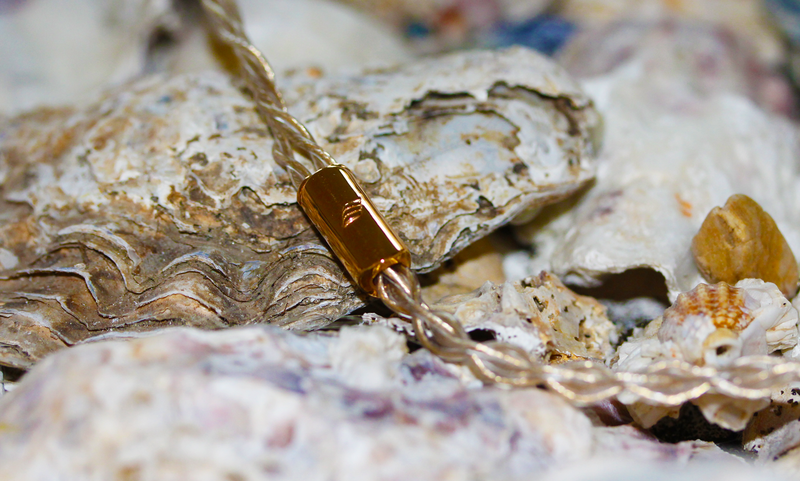 Effect Audio made their impact with a few key models, such as their entry-level Ares II cable, which offers a unique sound for a copper cable, and the relatively uncolored and transparent Leonidas one tier up. While they offered a few bespoke options that could get rather pricey, their official flagship till date was Mars, employing a gold-plated silver design. But Effect recently launched their new flagship, utilizing advanced geometry in their wire design. Cables can vary widely in their prices, even when using similar materials – one silver cable, isn’t the next. Besides wire properties as material type, the purity of the wire and strand count are instrumental in determining the quality, and therefore the price of the raw wire. For their new flagship, Effect Audio went a step further. For starters, they applied multi-sizing, or the combination of thin and thicker gauge sizes of the individual strands within a single wire, to tune the sound. Generally speaking, a thicker gauge size tends to increase the prominence of the lower frequencies. For example the Ares II+ variation has more mid- and especially upper-bass compared to Ares II, while something similar can be said of Thor Silver II+ versus II. 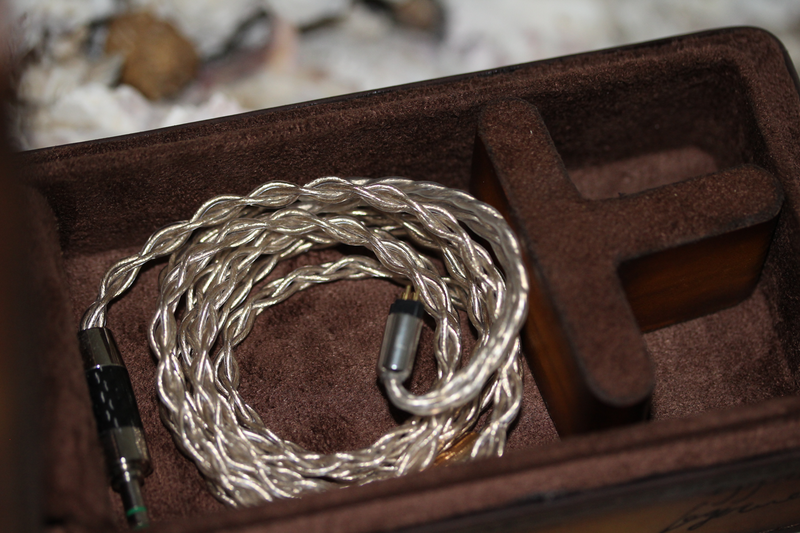 With Horus, the trick was to combine the thinner gauge wires to achieve an open sound with high resolution, with enough thicker wires to balance the tone. In addition, Horus is designed with an extraordinarily high strand count, nearly tripling the count of regular quality wires. 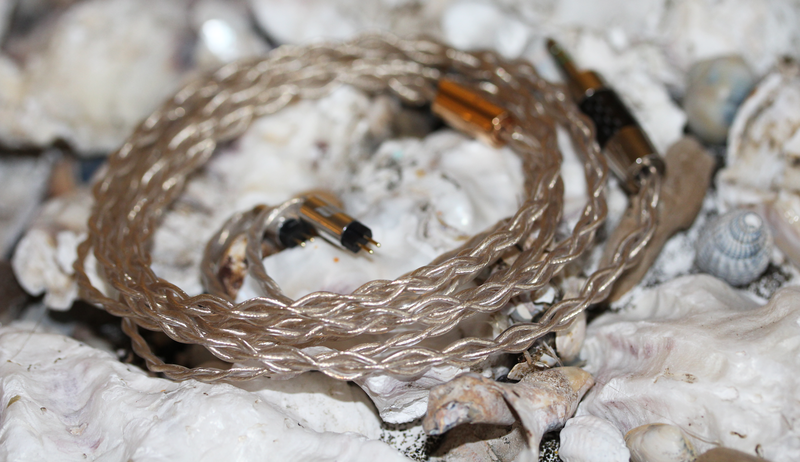 Effect Audio’s cables are beauties to behold, even their entry-level models. By applying their trademark insulation, the wires seem to shimmer and glow in reflection of the light. Simply stating Horus is no exception would be an understatement, as it adds a subtle elegance due to its cream-colored wires. But perhaps the most eye-catching feature is its rose-gold splitter with Effect Audio logo; a simple but luxurious finish, matching the silky wires. The cable’s top- and bottom-end connectors are similar to Effect Audio’s previous editions. The palladium-plated P-square jack is a mix of carbon fiber and silver, while the top-end connectors are a regular silver. Horus consists of a 4-wire design, compared to some of the more exotic 8-12 wire configurations of some of its competitors in the upper-tier cable segment. This comes with the advantage of being especially suitable for portable use, as it shares similar flexibility and weight as their more affordable options. Overall, Horus is both an ergonomic as well as visually appealing cable, making it one of the more practical top-tier cables. Similarly, Effect Audio has always taken pride in their presentation, supplying their higher-end cables in befitting packages. The round leather case for Leonidas was in such high demand, that Effect Audio provided it as a separate option at one point. For Horus however, great was not good enough; seeking help from Korean specialist artisans, they crafted a genuine leather case in a rustic look, befitting Horus’ ancestral name. The case holds separate spaces for the cable and earphone pieces, in order for comfortable transportation. Admittedly, the packaging is exceptional.